The next year was an overwhelming torrent of education: Anatomy, Physiology, Kinesiology, Medical Terminology, Systems of the Body, Nerve Intervention, Theory, History, Pathologies, Examination, Protocols, Notation, etc. 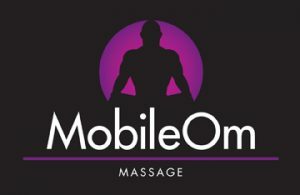 Introductions into the vast array of massage techniques such as Neuro-Muscular, Pre-Natal, Deep Tissue, Myofascial-Release. I was fortunate that my school had a very close affiliation with Paul St. John, a leader in neuro-muscular massage techniques. Massage at this level is so much more than rubbing oil onto a body and pampering a client. It is about correcting dysfunction, decreasing pain, and restoring a person back to optimal health. It was a vast comprehensive program designed to allow us to work along with other medical professionals in a rehabilitative and clinical situation. I watched how my body was affected: pain and discomfort from previous injuries no longer affected me; my personal battle with psoriasis, conquered; my insomnia, gone. I suffered positive side effects such as increased energy, greater mobility, and better sleeping patterns, witnessing equal improvements in my classmates with each level of course advancement. It was the best investment I have ever made. I graduated with honors and received the College’s Golden Touch Award for Excellence in Massage. Ambitiously, the first job I applied for and achieved was at the prestigious Eden Roc Resort & Spa, a 55,000-square-foot oceanfront fitness mecca in Miami Beach. It had been voted by Men’s Fitness Magazine as one of the top 15 health clubs in the country with a membership of A-list celebrities, millionaires, and international movers and shakers. The demands for perfection, skill, and impeccable service were paramount. Membership came with a hefty price tag as massage-savvy patrons expected the best. Based upon my education, management experience, and massage abilities, I was quickly promoted to lead therapist and then eventually Spa Services Director. My client list grew with a very diverse cross section of celebrities, members of royal families, business leaders, personal trainers, construction workers, homemakers, and students. It was clear that everyone needs healing and that massage was not limited to the wealthy. It was not about pampering; it was about maintaining a quality of life impaired by the rigors of work, age, gravity, and injury. I further continued my education enrolling into a doctor of acupuncture and Oriental medicine program. My original six-month plan of attending massage school blossomed into a rewarding 15-year adventure —working in top resorts as a therapist, spa director, consultant and finally instructor of advanced clinical training/massage techniques for a division of Corinthian College.